Solaronix is developing new generation photovoltaic solar cells, following the scientific breakthrough realized by Prof. Grätzel and his team at the Polytechnic School in Lausanne (EPFL) in the early 90's. Our company acquired the first EPFL license for Dye Solar Cell technology in 1994, with the aim of transposing these scientific discoveries into industrial products. Conventional solar cells consist of a single junction between a positively and negatively doped semiconductor such as silicon (1st generation), or multiple junctions of different semiconductors (2nd generation). Current commercial photovoltaic panels found today are largely of these two types. Solaronix is working to develop a 3rd generation photovoltaic technology in which that junction isn't necessarily uniform, and can employ other materials than simple semiconductors. This new approach has opened a formidable range of possibilities for next generation photovoltaic devices. This, in turn, will lead to a multitude of technological breakthroughs. Since our desire has always been to provide innovative solar energy solutions, it was natural for us to work in this direction. 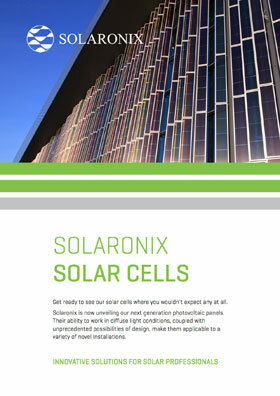 The solar cell activities at Solaronix began in 1996 with the elaboration of Dye Solar Cells at a laboratory scale. Soon after, the company began to produce the sensitizing dyes, not only to feed the internal needs, but also to supply customers who started investigating the technology. The production and the supply of the other ingredients quickly followed, and has grown into a portfolio of specialty chemicals and components for Dye Solar Cell fabrication. These materials now serve a worldwide customer base composed of academies and industrial partners. 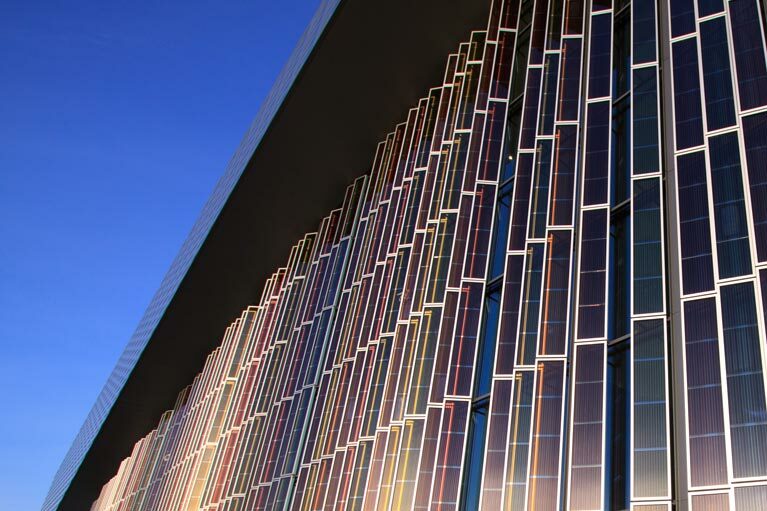 In 1999, Solaronix began to explore different methods to make patterned solar cells. This led to our first model, PICTO, which can be decorated and customized in shape. Today, its aspect can be further tuned in color and transparency. Our first models of SERIO, interconnected modules comprising several solar cells in a single assembly, emerged almost concomitantly. Vastly optimized for after several years of optimization, and heavily tested in internal and external projects, these demonstration products led to the first commercial applications of our Dye Solar Cells. Available in different colors and transparencies, these models were more recently designed into transparent solar panels for façades. In parallel to these advances, Solaronix works actively on the future of Dye Solar Cells. The investigation of monolithic assemblies began before 2008, with the development of an electrically conductive carbon electrode obtained by printing. This breakthrough allows for a simplified fabrication thanks to an all-printed philosophy, and makes it possible to use only one glass substrate. The substitution of liquid electrolytes is also carried out in our works on solid-state Dye Solar Cells and Hybrid Solar Cells, a route promising simpler and more efficient fabrication processes.